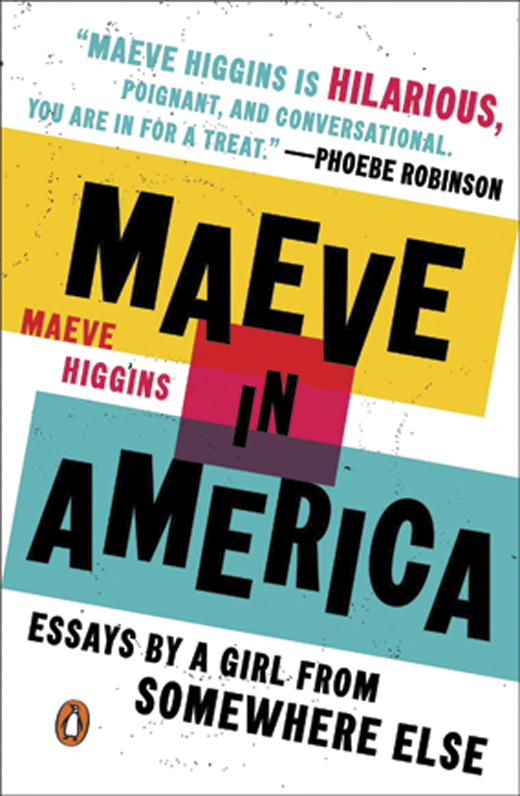 Recently published books by Irish and Irish-American authors. The Galway Tourist Office must just brace itself every time there’s a new book out by Ken Bruen. 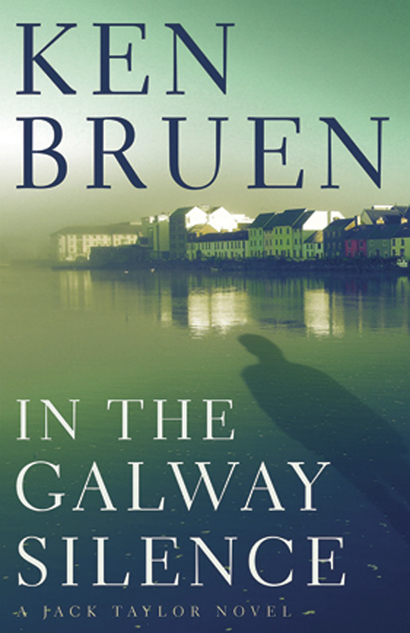 For every delight that Galway is known for, Bruen has the down-at-heel, dark-side alternative version. Quirky shops? Dead swans. Lovely pubs? Out-and-out alcoholism. Friendly locals? Corrupt guards. Great party vibe? Vicious murder and brutality. But maybe they’re missing a trick. Maybe the time has come for Galway to celebrate Bruen and his Jack Taylor series, and do one of those city tours incorporating all of the Taylor hot spots – Garavan’s pub, Mill Street Garda station, Eyre Square, College Road, etc. Taylor, of course, would absolutely hate it, but it’s not hard to imagine the softly-spoken Bruen getting quite the kick out of it. In Galway Silence, Bruen’s fourteenth in the Taylor series, Jack is somewhat settled into domestic contentment with his girlfriend and her young son. He’s still drinking too much, and doing a bit of other stuff too, but he’s largely keeping himself to himself. When he’s hired by a wealthy Frenchman whose twin sons have been brutally murdered, it opens the door to some of the most unsettling characters imaginable. And in a Jack Taylor novel, that’s something! As murder continues to stalk the streets of Galway, the reader can’t help but wonder about this seedy underbelly in the City of the Tribes. Not one for the faint-hearted, but rather for those who like their crime novels gritty, grimy and pure, pure Galway. There’s never much redemption in a Jack Taylor novel – but there seems be even less of it this time around, as the tale ends on a decidedly down note. Her Irish name, as you’d expect, causes problem in her new home: “In this country of millions of people and this city of a thousand cultures, not many people know my name, or how to say it.” (Top tip: it rhymes with ‘brave.’) There’s also a lovely essay referencing Annie Moore, the first immigrant through the new Ellis Island processing center, and Higgins’ own journey from Cork to the U.S., when she was invited to the Kansas City Irish Fest. She subsequently wrote about the St. Patrick’s Day parade in Queens for the Irish Times newspaper. Particularly in these turbulent times, Higgins acknowledges her good fortune in being able to live and work in the U.S. “I’m very lucky to get that chance to feel at home here, and even luckier to go back and forth freely between the two countries. For most people around the world, America is a fortress. Forget about moving here; for huge swaths of the global population it is impossible even to visit.” As is evidenced by these charming essays, she is a welcome addition to the country. The third in Mary Pat Kelly’s historical fiction series based on her great-aunt, Nora Kelly, begins with Nora, as always, in the thick of things – in this case, back at home in Chicago from a years-long stay in Paris. She comes home to attend to a family crisis, but quickly gets wrapped up in the politics and culture of an increasingly diverse Chicago in the 1930s. Her cousin, Ed Kelly, has big plans for the city’s landscape that she is only too happy to support him in, through the inevitable series of obstacles set by pushers of greed, intimidation, and anti-Irish sentiment that litter the community. Among them is Republican mayor Bill Thompson, historically notorious for his disinterested attitude toward the needier of Chicago’s citizens, and spouting worrisome, nativist rhetoric that is disquietingly familiar to contemporary readers. Nora remains by Ed’s side as he takes a turn as the white knight of Chicago by filling in as mayor, opening a whole new can of worms for the Kellys to face with their characteristically Irish determination and ingenuity. Nora’s feisty temperament and progressive sensibilities lead her into trouble, as well as incredible opportunity: meetings with President Franklin Roosevelt, Joe Kennedy and his young son John, and a trip to Derry with First Lady Eleanor are just two of the ways she keeps her finger steadily on the ever-thudding pulse of a national and global narrative, leading through the Depression and World War II, all the way to a lovely surprise in the home of her ancestors. 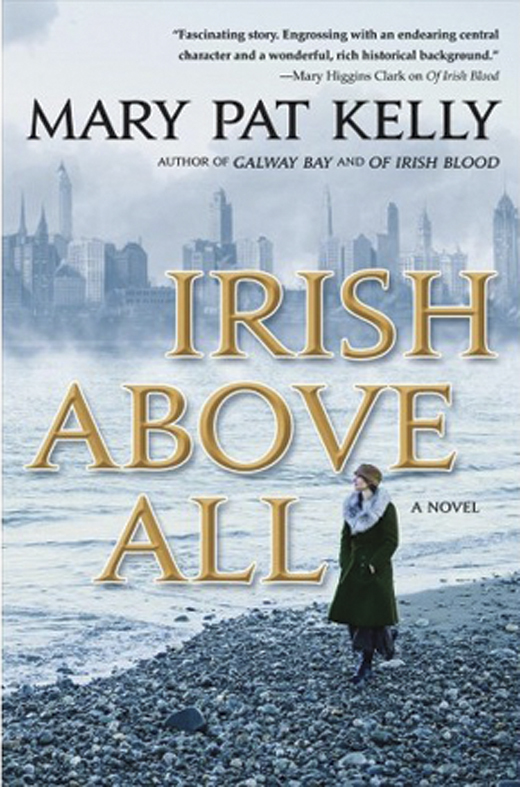 Author Mary Pat Kelly’s easy weave of personal and historical conflict make this yet another informative and heartstring-tugging read, providing a tutorial on Irish and Irish-American influence that is both entertaining and absolutely necessary.